Skylanders Trap Team Starter Pack - PlayStation 4 Just $13.50 Down From $55! You are here: Home / Great Deals / Amazon Deals / Skylanders Trap Team Starter Pack – PlayStation 4 Just $13.50 Down From $55! 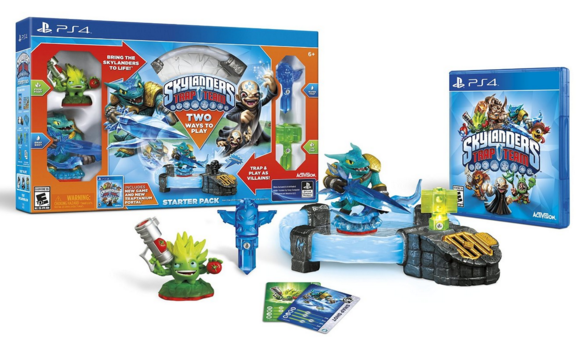 Skylanders Trap Team Starter Pack – PlayStation 4 Just $13.50 Down From $55! Here’s a fantastic Amazon deal! Skylanders Trap Team Starter Pack – PlayStation 4 is just $13.50 down from $55! Get yours now while it lasts! Starter Pack includes: 1-Video Game, 1-Traptanium Portal, 2-Skylanders Figures, 2-Traps, 1-Character Collector Poster, 2-Sticker Sheets with Secret Codes and 2-Trading Cards.